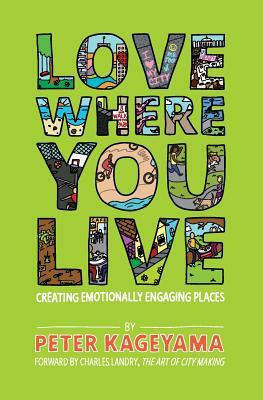 Co-founder and producer of the Creative Cities Summit, Peter Kageyama shares his hit For the Love of Cities and its sequel Love Where You Live– both books encourage citizens to more closely examine their own relationship with where they live, work and play. The mutual love affair between people and their place is one of the most powerful influences in our lives, yet rarely thought of in terms of a relationship. As cities begin thinking of themselves as engaged in a relationship with their citizens, and citizens begin to consider their emotional connections with their places, we open up new possibilities in community, social and economic development by including the most powerful of motivators—the human heart—in our toolkit of city-making. 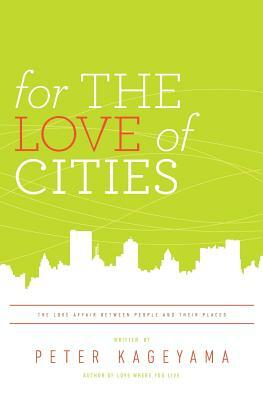 Following the widespread success of For the Love of Cities, this book builds upon the central premise that love of place matters, with more examples from all over the world and practical steps that community leaders, both official and unofficial, might use to kick start the process in their city. This book explores how to build networks of co-creators, how to allay community fears, how to deal with naysayers and bad news, how to find your authentic identity and how little bits of funding can be instrumental in creating big changes. Co-presented by Local First AZ. 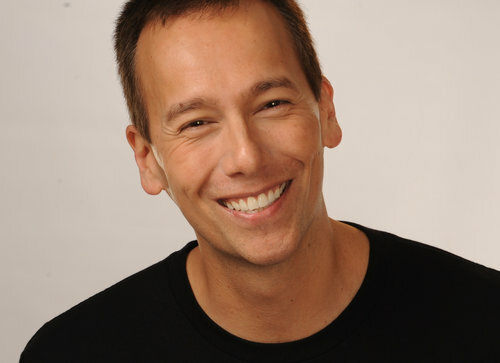 PETER KAGEYAMA is the author of For the Love of Cities: The Love Affair Between People and Their Places and the follow up, Love Where You Live: Creating Emotionally Engaging Places. Peter is a Senior Fellow with the Alliance for Innovation, a national network of city leaders that is dedicated to improving the practice of local government. Since speaking to them in 2013, Peter has become a special advisor to America In Bloom. He is an internationally sought-after community development consultant and grassroots engagement strategist who speaks all over the world about bottom-up community development and the amazing people who are making change happen.